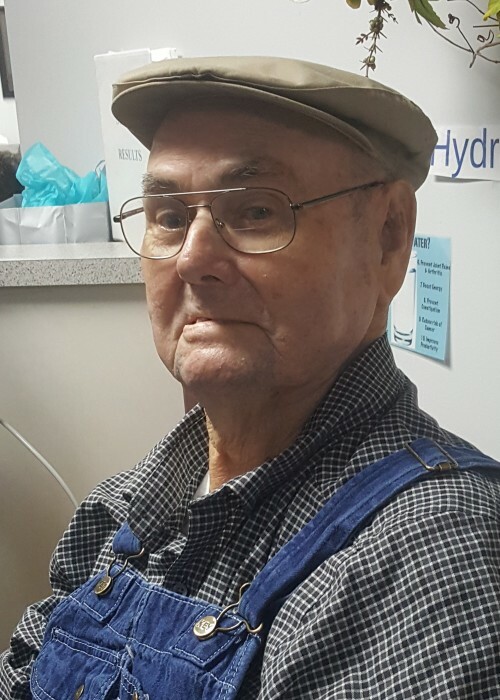 Bruce Colquitt Bowen, age 92, of Baxley died Sunday, December 2, 2018 in the Pavilion. Mr. Bowen was born December 4, 1925 to the late Leroy Bowen and the late Ollie Mae Miles Bowen. He attended Mt. Vernon Baptist Church and was a veteran of the United States Army and a retired farmer. Mr. Bowen was also preceded in death by his wives, Lizzie Bowen & Verma Lou Bowen; sisters, JoAnn Mincey, Bobbie Whittington and a brother, Wade Bowen. Survivors include his daughter, Sylvia Griffin of Baxley; son, Corbett Bowen of Baxley; siblings, Colleen Davis & Catheleen (Edsel) Bullard all of Baxley, Faye Gray of Jacksonville, FL, Truman (Yvonne) Bowen and Rita Taylor all of Baxley. Four grandchildren & several great grandchildren also survive. Funeral services will be held Tuesday, December 4, 2018 at 3:00 p.m. at Mt. Vernon Baptist Church with Rev. Darrell Quinn & Rev. Fred Anderson officiating. Interment will follow in Deen Cemetery with Military Honors. Active pallbearers will be Dale Lynch, Aubrey Lynch, Tim Williams, Henry Morris, Jerry Mincey & Mike Dyal. Visitation will be one hour prior to the funeral service at Mt. Vernon Baptist Church.